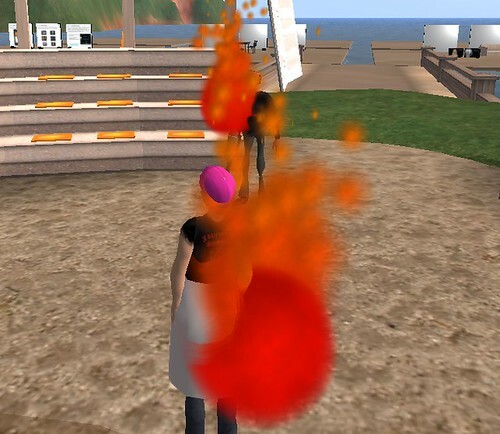 Tomorrow at 4:30 PST/7:30 EST Tom Woodward, Brian Lamb, and myself will be Syndicating the Revolution for NMC’s “Rock the Academy” conference in Second Life. Preparing for this presentation has been some of the most fun I’ve ever had collaborating, and while I can’t promise as much for the actual show—I do think it has the potential to be a gory, blasphemous, and entertaining experience all at once. We’ll be discussing the current Zombie state of institutional Web 2.0 fakery and the chains of expedient enslavement that bind us; exploring the means for surviving our current LMS malaise through imaginative resistance; as well as explaining how we can harness the radical possibilities of syndication through open source publishing frameworks and underground personal/professional alliances. ¡Viva la revoluciòn! Additionally, if you are planning on attending this session I would highly recommend an asbestos suit if at all possible. 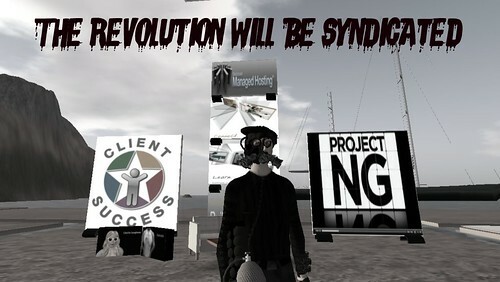 This entry was posted in presentations, rss, second life and tagged NMC Rock the Academy, presentation, revolution, second life, syndication, zombies. Bookmark the permalink. Heh. Wish I could be there! Take pictures.